In its second initiative against rising greenhouse gas (GHG) emissions, the Obama administration has announced measures to reduce methane emissions from the oil and gas industry. The US Environmental Protection Agency (EPA) on Tuesday declared a list of proposed standards that are expected to cut methane emissions from the industry by 40 to 45 per cent from 2012 levels by 2025. The proposal requires companies to find and repair leaks and limit emissions from equipment used in oil and gas extraction, among other measures. The EPA estimates that these standards will reduce 340,000-400,000 short tonnes of methane and 170,000-180,000 tonnes of ozone-forming volatile organic compounds (VOCs) in 2025. Methane, a short-lived climate pollutant (SLCP), remains in the atmosphere for only 12 years but has over 20 times more global warming potential than carbon dioxide. VOCs lead to the formation of ozone which has detrimental effects on human health and crop yields. "Today, through our cost-effective proposed standards, we are underscoring our commitment to reducing the pollution fueling climate change and protecting public health while supporting responsible energy development, transparency and accountability," said EPA Administrator Gina McCarthy in an official release. The proposed standards follow the government's Clean Power Plan which was announced earlier this month. The plan was widely criticised for not being as ambitious as required. Given that the Clean Power Plan hinges on using "cleaner" natural gas for electricity generation, apart from renewables, McCarthy highlighted the importance of the methane emission standards as essential for "ensuring safe and responsible production". According to EPA, 29 per cent of all methane emissions in the US can be traced back to natural gas and petroleum systems. Civil society organisations in the US have welcomed the announcement. The oil and gas industry, however, has called the new standards "unnecessary" for reducing emissions. In a statement by American Petroleum Institute, the country's national trade association, President and CEO Jack Gerard said, "The oil and gas industry is leading the charge in reducing methane. The last thing we need is more duplicative and costly regulation that could increase the cost of energy for Americans." He claimed that methane emissions from hydraulically fractured natural gas wells have fallen nearly 79 per cent since 2005. But an in-depth report by Down To Earth found that the scale of methane emissions from shale gas wells threatens to wipe out its advantage over coal. 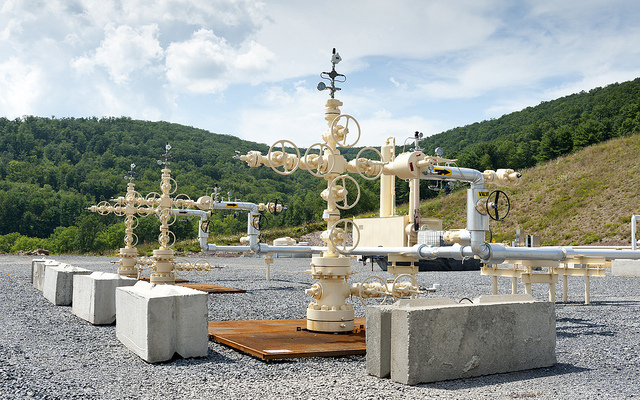 Tony Ingraffea, expert in fracture mechanics and emeritus at Cornell University, confirmed that concerns over methane emissions from drilling sites are serious. The proposed standards are expected to be finalised in 2016.